What a great creative week it was for me this week… And on my hands too! Paint on my fingers all day long… and there was hardly any time to take it off and do some 'business' stuff as well. Good feelings and energy which I think I've got last weekend when I went away to 'my' place. Your answers to my question on a FB showed that you want to see more of my works and hear about art and phototherapy here, on my blog. Maybe you've noticed that I listened to you already and talked about that in my last few posts :). Then I needed to create a frame for the address. I chose a stamp (b) with too narrow frame, so I didn't ink one side, that I could make a bigger frame from stamping the same stamp twice. As every envelope and post should have a 'post-office stamp' on it, I found one for my envelope too. 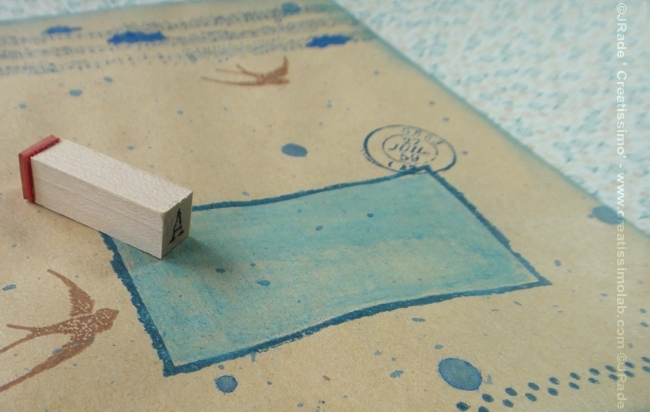 I found it on a much bigger stamp (c), on which I only inked what I needed and stamped it next to the 'address' frame. Great that I didn't have to buy a new stamp for that, eh ;)? 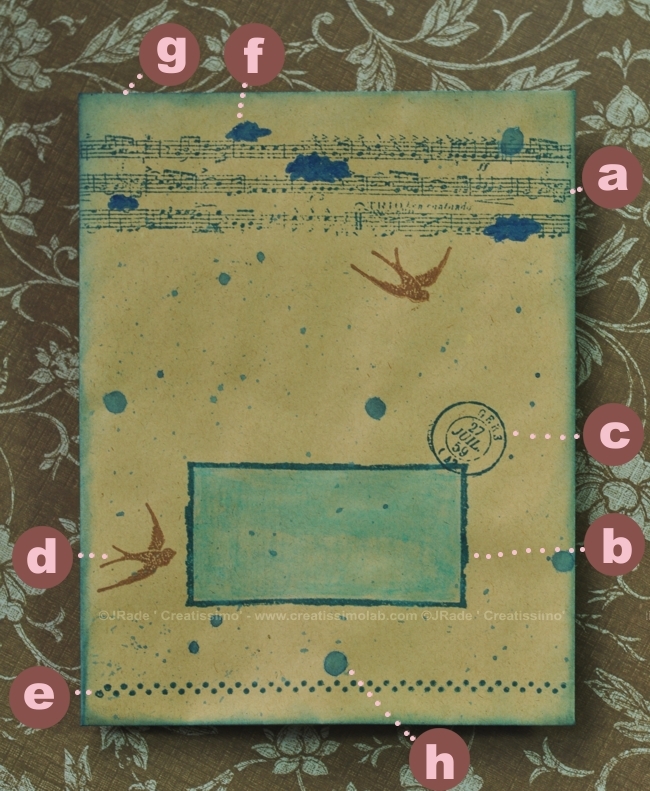 When I see music notes, I get associations of singing birds and when I see an envelope, I think of flying (I usually write to my pals via air mail), therefore I chose a stamp (d) of a bird. 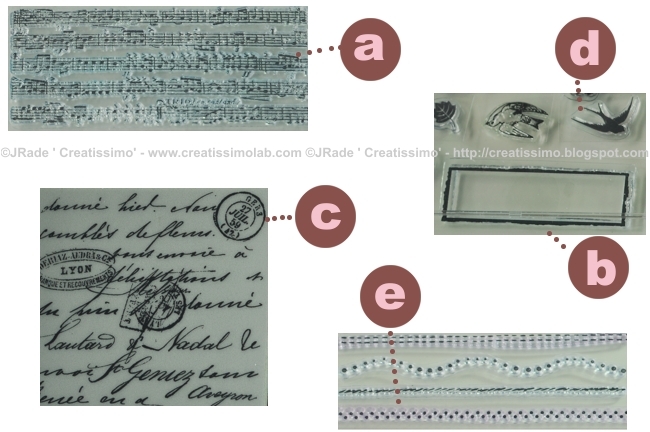 And last but not least I added a dotted border (e) at the bottom of the envelope to 'connect' that part with the upper part ('dotted' music notes) of the envelope. How do you usually use your stamps? Wishing you a wonderful, creative weekend and don't forget to have fun! Posted on May 27, 2011 by Creatissimo - Jozica Rade and filed under 0:: creative together, creative process, creative works, misc, my works.